Not all topics are equal. You can swing at some subjects with a big stick and nobody will care. Other topics require delicate treatment. Learn finesse. If you can be misunderstood, you will be misunderstood. Expect that what you say will be taken out of context. Don’t be surprised. Be aware of stereotypes. Know how people will misconstrue your position, and don’t reenforce their mistaken beliefs. If you’re Canadian, for instance, don’t talk about beavers and wear a Mountie hat. If you’re complementarian, don’t say anything that could remotely be taken as chauvinist. Some people will build straw men; be careful not to hand them straw. Know that you belong to a camp. Some people hate that camp and are waiting for you to say something stupid. Speak accordingly. Being a nice guy doesn’t count. Your mother, wife, kids, and dog love you; this won’t count much for those you offend. Show grace to those who criticize you. They won’t always deserve it, but neither do you. Show grace anyways. Apologize. Nothing will defuse the situation like an honest apology. People will know if it’s sincere or not, so don’t try to fake this one. Move on. Some people will be angry with you anyways. Rest in God’s grace. My guess is that the skill of dealing with volatile topics is going to become even more important than it is now. I’d love to hear your ideas on how we can do so. In 2011, a better question might be, “How does one find enough hours in the day to read all the sites they are subscribed to or have bookmarked?” I figure a typical week lands me on about 1,000 different types of internet sites, and I don’t consider myself a heavy online user. Every single person reading this actually has a completely unique internet experience weekly. Today, this blog enters year four. I have mixed feelings about that. I’m happy that this blog has become a voice albeit in a crowded room of voices all talking at once. I’m continually amazed — and somewhat humbled — that hundreds of you show up here every day, many just to see what’s been posted recently. But these things were never set up as one-way communication. You hear people speak of “blog community” and I think there certainly is one, but increasingly the comments I moderate have absolutely nothing to do with the subject of the blog post; they’re actually written in the hope that readers will link back to their own blog. And then of course, there is the fact I am denied full participation in this very same blog community. Some time back, someone masquerading as me posted something or did something that got me completely blocked from commenting at many of my favorite blogs. Even people I considered online “friends” like Pete Wilson, or people I’ve been reading for years before starting my own blog, such as Trevin Wax; the comments I leave (which are indeed appropriate and rather insightful) simply never appear. Furthermore, if I log off WordPress, and attempt to leave a comment at my own blog, it is blocked. There was a woman — I think it was a woman, but people use aliases in their comments — who was going through a hurting time and the discussion moderator was nowhere to be seen, so I recommended a book to her; a perfectly acceptable book, but one not written by Andy Stanley. Maybe that got me banned. Who knows.The clergy establishment sometimes gets really possessive when lay people start acting pastoral. Actually maybe I am sure why. Maybe like Hosea, God is allowing me to identify with all the other people out there who have felt rejection; including those who have been rejected by the church. Back to the birthday party. This is post number 1,454. There is much to be thankful for today. I actually oversee seven blogs now, of which the latest, Christianity 201, has arrived on the scene since we celebrated this time last year. It keeps me humbled. Very humbled. While some endeavors in the Christian life remind you how far you’ve come and what you have accomplished, C201 reminds me of how far I’ve got to go. Jesus set the bar rather high. A handful of you also read my book industry blog, Christian Book Shop Talk. It will celebrate a third birthday in August. Yesterday’s post had someone suggesting bookstores are going the way of record shops and video rental stores. Sigh. In that setting, I get to be a voice in an increasingly empty room. Then there are the off-the-blog discussions. Some of the best things that happen as a result of all this online activity are never seen online. And to the guy who drove an hour to the bookstore where I work only to find out I wasn’t there that day: Next time, get the staff person to write down your name. Better yet, let’s book it a day ahead, okay? Anyway, I want to thank all of you who read, who write comments and who allow me to do the same on your blogs. To the latter group, you’ve really stimulated me to increase the time I spend reading Christian books, for which I am grateful. As iron sharpens iron, so one blogger is sharpened by another. Even when they block his comments. (Couldn’t resist.) Many of you have also caused me to rethink some things that really matter. I’ve also enjoyed the benefits of being kept accountable. Finally to the caricature artists who charcoaled me into a corner with the Joyce and Beth thing: A little knowledge is a dangerous thing and ignorance is bliss. (And if you love something, set it free…) I’m sorry that I what I call information you call judgment, but that is, if you’ll pardon the turnaround, your judgment. Keep enjoying their books by all means, and keep loving people who prefer to be taught by others. Closing thanks Mrs. W., the world’s best proofreader and editor (though usually a day after I’ve already posted something) and to all my sources, especially BDBO (you know who you are, but nobody else does) and the religion news pages at CNN and USAToday along with Canada’s Christian Week and Darryl Dash. And thanks to readers who send Wednesday Link List suggestions. And to Trevin and Pete and even Jon Acuff: Let’s prove to the world that it’s all about grace, okay? *”Charcoaled me into a corner” — I couldn’t say “painted” because caricature artists work in chalk or charcoal, so that would be mixing metaphors, and “chalked” lost the coin toss. Time for some new lynx links. Suggestions always welcomed. 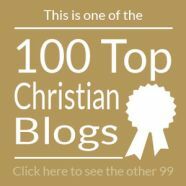 The blog Internet Monk has been smokin’ hot lately with a number of topics to get your brain working along with one of the best comments sections anywhere in the Christian blogosphere. Recently, iMonk told the story of a mother who wanted her autistic son baptised in a denomination that only baptizes on the basis of public confession of faith; something the young man wasn’t capable of doing. Hmmm. That’s a tough decision, as you’ll see when you click here. Hey, did you hear the thing about what’s-his-name? It’s hard to just walk away when someone’s got the latest gossip about a person or organization. Even the best intentioned will slow down and catch a phrase or two the way motorists slow down to look at an accident. Kevin Miller at the blog Off The Agenda suggests nine questions to help you decide the answer to the question, Is This Gossip? The fastest growing church in the U.S. right now is the one whose worship leader won American Idol. But I guess that was a no-brainer. Outreach magazine once again has issued their Top 100 church list, and leaks some of the details in this subscription teaser. 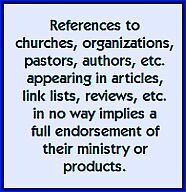 But you’ll learn more about some of the higher ranked congregations from this post at the blog, Church Relevance. I like a writer who can find a devotional idea from the Consumer Electronics Show. 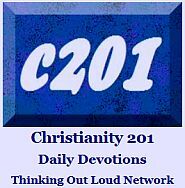 The blog, Christian Ranter does just that in this post called Beyond the TV. For my Canadian readers, the 17-city national tour of British Christian author Adrian Plass is rapidly approaching. You can catch tour dates and details at the Story and Song website.